Webster’s dictionary defines disinformation as: “false information deliberately and often covertly spread (as by the planting of rumors) in order to influence public opinion or obscure the truth.” For a fascinating example of disinformation, mainstream-media style, consider this story in Politico Magazine, How the CIA Came to Doubt the Official Story of JFK’s Murder by Philip Shenon and Larry J. Sabato. At face value the headline sounds quite intriguing. It promises great new revelations. But skeptics will look at it differently: they believe that, since CIA operatives had a great deal to do with setting up Oswald in the first place, then of course they knew the official story was false from the beginning. They helped invent it. Those familiar with the circumstances surrounding the assassination of President John F. Kennedy are aware that the official story pronounced by the Warren Commission — the first official government investigation into Kennedy’s murder — was that lone-wolf Lee Harvey Oswald, a 24-year old ex-Marine with a curious past, shot the president from the 6th floor window of the Texas Schoolbook Depository building in Dealey Plaza on November 22, 1963. Although in the 1970s a second government investigation — the House Select Committee on Assassinations — concluded that the murder was the result of a probable conspiracy, the official line out of Washington, D.C., and nearly every mainstream news organization since that day in November, has been to parrot the Warren Commission. Oswald acted alone — although the idea of involvement of Castro and Russia is often hinted at. But this narrative has been questioned from Day One, not the least by many of the witnesses who were there that day. Many of them reported hearing a shot or shots from behind a small hill — infamously known as the “grassy knoll” — to the front right of Kennedy’s car. Others saw or smelled smoke from that direction. Add to that the Zapruder film of the the assassination, showing Kennedy’s head rocketing backward; reports from nearly all of the closest witnesses on the number and timing of shots which contradict the official story; and about a hundred other discrepancies ignored by the Warren Commission. None of the files released last week undermines the Warren Commission’s finding that Oswald killed Kennedy with shots fired from his perch on the sixth floor of the Texas School Book Depository in Dallas’ Dealey Plaza — a conclusion supported by 21st century forensic analysis — and that there was no credible evidence of a second gunman. The files referred to are the first batch of JFK assassination records — just released by the National Archives and Records Administration (NARA) — previously withheld from the public, as well as files that were previously released but with redactions. As for the “conclusion supported by 21st century forensic analysis,” such “analyses” have been exposed as pseudo-science. For more information on this, please go here and scroll down to “Bogus Testing,” or here, here, and here. NARA has until October 26 to release the remaining documents. Researchers are still examining the 3,300-plus documents to understand their significance and to locate previously redacted portions. At least one major revelation has been found, and the hard work of piecing together cryptograms and data points to complete the puzzle has only just begun. For Politico to continue to make such statements is pretty astounding. It illustrates the stubborn resistance of the establishment to what almost everyone accepts by now: that the Warren Commission was in no way a true investigation. 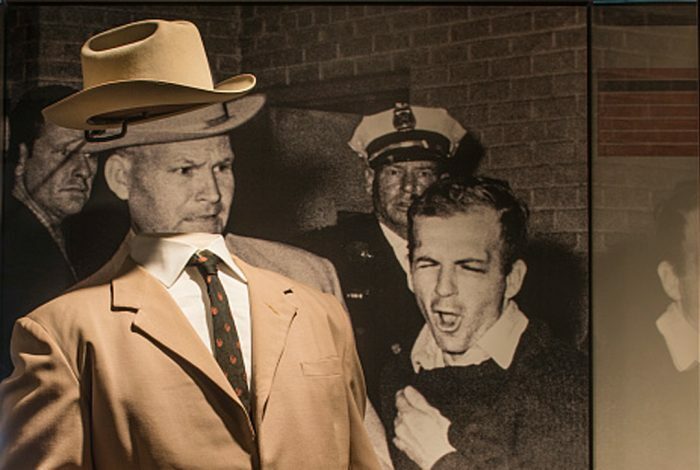 The preponderance of evidence uncovered by researchers has cut very much in the opposite direction: the assassin was not alone — and was not Lee Harvey Oswald. But the article’s headline does still worse, by promising to explore a kind of conspiracy — the CIA “doubting” the official story — when it only bolsters the Warren Commission’s lone-nut theory. The authors say that some CIA officers during the 70s worried amongst themselves that the agency had not adequately followed up on Oswald’s supposed contacts with Cuban and Soviet diplomats and spies during his trip to Mexico City, several months before the assassination. The authors are careful to preclude the possibility that anyone other than Oswald could have shot the president, while leaving the door open to the possibility that the Russians and/or Cubans were involved. Forgetting the fact that Oswald’s Mexico City visit is plagued with problems (see Peter Dale Scott’s article below), this is not the first time that allegations of Soviet or Cuban involvement were postulated. Chief Justice Earl Warren, who chaired the commission named after him, later admitted that when President Lyndon Johnson asked him to head the committee, he used the possibility of a nuclear holocaust with the Soviets — resulting from “a little incident” in Mexico City — as persuasive leverage. More important, the article does not deal with, or even recognize, a single evidenced-based argument against the lone-gunman theory. Which is especially curious, since polling indicates that 59% of Americans believe that multiple people were involved in a conspiracy to kill the president. The nonfiction story on Oswald is much more interesting — and rather startling. Below are the well-documented findings of Dr. Peter Dale Scott, a former Canadian diplomat and English Professor at the University of California, Berkeley, a poet, writer, and researcher. He’s written numerous books on US foreign policy, the CIA, and the “Deep State.” This is the first of six parts excerpted from Chapter 2 of his book, Dallas ’63: The First Deep State Revolt Against the White House (Open Road Media, September, 2015). When John F. Kennedy was assassinated on November 22, 1963, the United States lost more than its president. It lost its innocence. The subsequent investigations into the young president’s killing raised more questions than they answered — and caused Americans to lose faith in their government. Indeed, for many people in the US and across the world, the assassination marked the point at which their fundamental perceptions changed. Just after the Warren Commission released its report on the assassination, the level of public trust in government was at 77 percent. A decade later it had plummeted to less than half that (36 percent). Kennedy’s death and the circumstances surrounding it gave birth to a movement. This movement, composed of all kinds of people, is dedicated to investigating the story behind the story, to exposing the power networks hidden beneath surface events. These machinations have been dubbed “Deep Politics.” Those who study it believe there is much more to national and world events than what the public is told by government officials and evening newscasters — and, as you will see, Peter Dale Scott proves it. WhoWhatWhy is pleased to present excerpts from Chapter 2 of Scott’s latest work – Dallas ’63: The First Deep State Revolt Against the White House by Peter Dale Scott (Open Road Media, September, 2015). For Part 2, please go here; Part 3 go here; Part 4 go here; Part 5 go here; Part 6 go here. Those who have spent years trying to assess the role of the Kennedy assassination in US history are accustomed to the debate between structuralists and conspiratorialists. In the first camp are those who argue, that the history of a major power is determined by large social forces; thus the accident of an assassination, even if conspiratorial, is not an event altering history. At the other end of the spectrum are those who talk of an Invisible Government or Secret Team, who believe that surface events and institutions are continuously manipulated by unseen forces. For these people the assassination exemplifies the operation of fundamental historical forces, not a disruption of them. In Deep Politics and the Death of JFK, I moved towards a less conspiratorial middle alternative. I discussed instead the interactions of what I called deep political processes, emanating from plural power sources and all only occasionally visible, all usually repressed rather than recognized. In contrast to parapolitical processes, those of deep politics are open-ended, not securely within anyone’s power or intentions. In 1995 I brought out Deep Politics II (since reissued as Oswald, Mexico, and Deep Politics) , which I thought of at the time as a case study in deep politics: how secret US government reports on Oswald in Mexico became a reason to cover up the facts about the assassination of JFK. But it was also a specialized study, since in this case most of the repressed records of events, now declassified, occurred within the workings of the CIA, FBI, military intelligence, or their zones of influence. It was hence largely a study in parapolitics. It verged into true deep politics only near the end, when it described how a collaborating Mexican agency, the DFS (Dirección Federal de Seguridad) was deeply involved in the international drug traffic. Deep Politics, in contrast, looked continuously at the interaction between government and other social forces, such as the drug traffic. Both books represented an alternative kind of history, or what I call deep history. Deep history differs from history in two respects. First, it is an account of suppressed events, at odds with the publicly accepted history of this country. (One might say that history is the record of politics; deep history, the record of deep politics.) Second, deep history is often restored from records which were themselves once repressed. In short, deep history is a reconstructed account of events denied by the public records from which history is normally composed. A key example concerns a tape of someone calling himself “Lee Oswald,” discussing in a phone call to the Soviet Embassy about having met a consul there by the name of Kostikov, a KGB agent. As we shall see, this tape should have been preserved and investigated as a prime piece of evidence to frame Oswald as an assassin. We have documentary evidence, initially suppressed, that one day after the President’s murder this tape was listened to by FBI agents in Dallas, who determined that the speaker was in fact not Lee Harvey Oswald. Yet almost immediately this event was denied by other reports, including cables claiming — falsely — that the tape had already been destroyed before the assassination. A brief but important digression here about history. Most people assume that “history” simply refers to what has happened but is now gone. In fact the dictionary reminds us that the first meaning of the word (cognate to the word “story”) is to a narrative or record of events, and only after that to “the events forming the subject matter of history.” What of events whose records are destroyed or falsified? These dictionary definitions seem to assume that what is true is also what is recorded. There is thus a latent bias in the evolution of the word “history” that is related to the structuralist, rationalist assumptions referred to in my first paragraph. History (or at least what I like to call archival history) has always been the way a culture chooses to record and remember itself; and it tends to treat official records with a respect they do not always deserve. 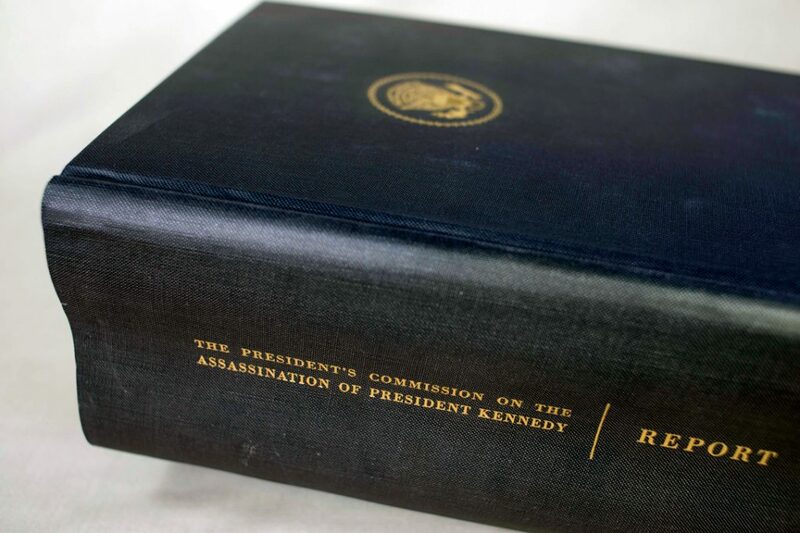 It is reasonable to talk about the CIA records in this book as suppressed, as so many of them were never allowed to reach even the Warren Commission, let alone the public, until up to three decades later with the Assassination Records Review Board (ARRB). Thus neither the Commission nor the American public were allowed to hear about allegations that Oswald had had sexual relations with two employees of the Cuban Embassy in Mexico City, that at least one of these liaisons (with Silvia Durán) had been part of an international Communist plot against Kennedy, and that Durán had admitted this (albeit under torture) in response to questions from the Mexican DFS or secret police. More importantly, the CIA and FBI suppressed a major clue to the existence of a pre-assassination conspiracy. This was that an unknown person had falsely presented himself as Lee Oswald in a phone call to the Soviet Embassy in Mexico City. The FBI initially reported that the person making the recorded call “was not Lee Harvey Oswald.” Later the FBI and CIA conspired, swiftly and clumsily, to conceal both the falsity of the impersonation and the fact that FBI agents had exposed the falsehood by listening to the tape. The Warren Commission learned nothing about these two facts. There now exists abundant documentation that, at least since World War II, the US government has exploited the drug traffic to finance and staff covert operations abroad. Perhaps the most conspicuous example is the massive paramilitary army organized and equipped by the CIA in Laos in the 1960s, for which drugs were the chief source of support. This alliance between the CIA and drug-financed forces has since been repeated in Afghanistan (1979), Central America (1982-87), and most recently Kosovo (1998). It is important to understand that this suppression was entirely consistent with intelligence priorities of the period. This important clue had been planted in the midst of one of the most sensitive CIA operations in the 1960s: its largest intercept operation against the telephones of an important Soviet base. One can assume that this clue was planted by conspirators who knew that the CIA response, possibly approved by higher authority, would be to suppress the truth. The CIA was protecting its sources and methods (in accordance with the responsibilities enumerated in its enabling statute). The result was obstruction of justice in a crime of the highest political significance. As we shall see in the following pages, one of the important sources of covert agencies’ power is their ability to falsify their own records, without fear of outside correction. Does this ability to rewrite their own history empower them to affect, if not control, the history of the rest of society? I believe the evidence in this book will justify a limited answer to this question: covert agencies, and the CIA in particular, were powerful enough to control and defuse a possible crisis in US political legitimacy. They did so by reinforcing an unsustainable claim: Oswald killed the President, and he acted alone. But the power of the CIA to influence history became even greater when, as we shall see, they acted in concert with forces allied to the powerful international drug traffic. Most people are unaware of the size of this unrecorded drug economy. In 2008 the United Nations Office on Drugs and Crime estimated the profits from the global drug trade to be $352 billion; and reported that the funds from laundering illicit drugs, now often estimated to be third largest commodity in international trade, “became an important factor” in preventing a number of major banks from collapsing during the 2008 economic meltdown. While estimates of the unrecorded drug traffic remain questionable, it is obvious that this traffic is large enough to be a major factor in both the economic and political considerations of government, even while it does not form part of recorded economic statistics. The unrecorded, illicit, but nonetheless important shadow economy is so large, and so powerful, that often governments have no choice but to plan to manage it, even before attempting to suppress it. There is a third factor contributing to the invisible alliance of the CIA, the independently wealthy, and the banks that cater to them. Informed observers of American politics have more than once commented to me that most of the hundred wealthiest people in the US know each other, and in addition often have connections to both the CIA and to organized crime. There is no shortage of anecdotal examples: James Angleton of CIA Counterintelligence delivering the sole eulogy at the small private funeral of Howard Hughes, or Joseph Kennedy Sr. being a point-holder in the same casino (the Cal-Neva) as Chicago mob figure Sam Giancana. Perhaps more relevant to the milieu of the JFK assassination is the example of Clint Murchison, Sr. Murchison paid for the horse-racing holidays of FBI Director J. Edgar Hoover at the same time as he sold stakes in his investments to mob figures like Jerry Catena, and enjoyed political influence in Mexico. These connections are no accident. More often than not, as we shall see in examining the career of William Pawley, the extremely wealthy acquired their resources by ignoring or bending the rules of society, not by observing them. In corrupting politicians, or in bypassing them to secure unauthorized foreign intercessions, both the mob and the CIA can be useful allies. In addition drug profits need to be laundered, and banks can derive a significant percentage of their profits by laundering them, or otherwise bending or breaking the rules of their host countries. Citibank came under Congressional investigation after having secretly moved $80 million to $100 million for Raul Salinas de Gortari, brother of former Mexican president Carlos Salinas. As a rule the power of the biggest drug traffickers is not autonomous, but depends on their government connections; and the top trafficker in any country is usually the one with the best government connections. This means not just that the government is protecting certain drug traffickers, but also that these drug traffickers will have an interest in protecting the government. I believe that an example of this is the collaboration we shall examine in Mexico, between the CIA and the corrupt DFS, to influence history by presenting false stories about Oswald. But it would be very wrong to think of the CIA-DFS collaboration as a simple alliance. One of the most crime-ridden CIA assets we know of is the Mexican DFS, which the US helped to create. From its foundation in the 1940s, the DFS, like other intelligence agencies in Latin America, was deeply involved with international drug-traffickers. By the 1980s possession of a DFS card was recognized by DEA agents as a “license to traffic;” DFS agents rode security for drug truck convoys, and used their police radios to check of signs of American police surveillance. Eventually the DFS became so identified with the criminal drug-trafficking organizations it managed and protected, that in the 1980s the DFS was (at least officially) closed down. Thus the CIA-DFS alliance was at best an uneasy one, with conflicting goals. The CIA’s concern was to manage and limit the drug traffic, while the DFS sought to manage and expand it. Management of the drug traffic takes a variety of forms: from denial of this important power source to competing powers (the first and most vital priority), to exploitation of it to strengthen the existing state. There now exists abundant documentation that, at least since World War II, the US government has exploited the drug traffic to finance and staff covert operations abroad. Perhaps the most conspicuous example is the massive paramilitary army organized and equipped by the CIA in Laos in the 1960s, for which drugs were the chief source of support. This alliance between the CIA and drug-financed forces has since been repeated in Afghanistan (1979), Central America (1982-87), and most recently Kosovo (1998). DFS officials worked closely with the Mexico City station of the US Central Intelligence Agency and the attaché of the Federal Bureau of Investigation. The DFS passed along photographs and wiretapped conversations of suspected intelligence officers and provocateurs stationed in the large Soviet and Cuban missions in Mexico City…. The DFS also helped the CIA track Central American leftists who passed through the Mexican capital. But it is important to remember that such alliances were often first formed in order to deny drug assets to the enemy. In Mexico as in Asia, just as in the US “Operation Underworld” on the docks of New York City, the US government first began its drug collaborations out of fear that drug networks, if not given USG protection, would fall under that of some other foreign power. “Operation Underworld,” like its Mexican equivalent, began after signs that the Sicilian Mafia in New York, like the Latin drug networks of Central and South America, were being exploited by Axis intelligence services. The crash program of assistance to Kuomintang (KMT) drug networks in post-war Southeast Asia was motivated in part by a similar fear, that these networks would come under the sphere of mainland Chinese influence. Thus it would be wrong to portray the CIA-drug alliance, particularly in Mexico, as one between like-minded allies. The cooperation was grounded in an original, deeper suspicion; and, especially because dealing with criminals, the fear of betrayal was never absent. This was particularly true of the DFS when guided by Luis Echeverría, a nationalist who in the late 1960s (despite being a CIA asset, with the cryptonym LITEMPO-8) developed stronger relations between Mexico and Cuba. Some have questioned whether the increased Cuban-Mexican relations under his presidency (1970-76) were grounded partly in the drug traffic, overseen by his brother-in-law. Even in 1963 the fear of offending Mexico’s (and Echeverría’s) sensibilities led the CIA to cancel physical surveillance of a Soviet suspect (Valeriy Kostikov); the CIA feared detection by the DFS, who also had Kostikov under surveillance. By the 1970s there were allegations that the CIA and/or FBI were using the drug traffic to introduce guns into Mexico, in order to destabilize the left-leaning Echeverría government. This is perhaps the moment to point out another special feature of the US-DFS relationship in Mexico. Both the CIA and FBI (as Shannon noted, and as we shall see) had their separate connections to the DFS and its intercept program. The US effort to wrest the drug traffic from the Nazi competition dated back to World War II, when the FBI still had responsibility for foreign intelligence operations in Latin America. Winston Scott, the CIA Station Chief in Mexico City, was a veteran of this wartime overseas FBI network; and he may still have had an allegiance to Hoover while nominally working for the CIA. We shall see that on a key policy matter, the proposed torture of Oswald’s contact Silvia Durán, Scott allied himself with the FBI Legal Attache and the Ambassador, against the expressed disapproval of CIA Headquarters. What is particularly arresting about this CIA-mob nexus that produced false Oswald stories, is its suggestive overlay with those responsible for CIA-mob assassination plots. Key figures in the latter group, such as William Harvey and David Morales, did not conceal their passionate hatred for the Kennedys. It is time to focus on the CIA-mob connection in Mexico as a milieu which will help explain, not just the assassination cover-up, but the assassination itself. Although this agreement was temporarily ended under the Ford Administration, a new secret Memo of Understanding under Reagan again lifted the obligation to report the criminal acts of CIA assets who were drug-traffickers. I have argued elsewhere that these covert agreements have been significant factors in augmenting the flows of heroin and cocaine into this country. Obviously a memo from the Reagan Administration is of little relevance to the Kennedy assassination. But it is of extreme relevance that a prior agreement was in force from the mid-1950s to the mid-1970s, exempting the CIA from a statutory requirement to report any criminal activity by any of its employees or assets. This agreement, drawn up under Eisenhower and eventually rescinded under Gerald Ford, was so secret that the Attorneys General under JFK and LBJ (including Robert Kennedy) were never informed of it. We can assume however that the agreement was known to those CIA officers who suppressed an important clue that would have led to their Soviet intercept program, and thereby obstructed a proper investigation of President Kennedy’s murder. This exemption from a statutory obligation might be considered anomalous, except that in one form or another the CIA has enjoyed such exemptions for most of its history. For Part 3, please go here; Part 4 go here; Part 5 go here; Part 6 go here. Peter Dale Scott, The War Conspiracy: JFK, 9/11, And The Deep Politics Of War (New York: Skyhorse, 2013), 171. Peter Dale Scott, Oswald, Mexico, and Deep Politics (New York: Skyhorse, 2013). There are previous examples where the actual events of American history are at odds with the public record. Allen Dulles represented the conventional view of John Wilkes Booth when he represented Booth to the Warren Commission as a loner, ignoring both the facts of the case and what is known now of Booth’s secret links to the Confederate Secret Service (Scott, Deep Politics, 295; cf. Tidwell, William A., with James O. Hall and David Winfred Gaddy, Come Retribution: the Confederate Secret Service and the Assassination of Lincoln. [Jackson: University Press of Mississippi, 1988]). American Heritage Dictionary, s.v. “history;” emphases added. House Select Committee on Assassinations, Report, 249-50 (henceforward AR 249-50). Rajeev Syal, “Drug Money Saved Banks in Global Crisis, Claims UN Advisor,” Observer, December 13, 2009, http://www.guardian.co.uk/global/2009/dec/13/drug-money-banks-saved-un-cfief-claims; discussion in Peter Dale Scott, American War Machine: Deep Politics, the CIA Global Drug Connection, and the Road to Afghanistan (Lanham, MD: Rowman & Littlefield, 2010), 228-29. For a candid account of how KMT China was torn between management and suppression of the opium traffic, see Alan Baumler, “Opium Control versus Opium Suppression: The Origins of the 1935 Six-Year Plan to Eliminate Opium and Drugs,” in Opium Regimes: China, Britain, and Japan, 1839-1952, ed. Timothy Brook and Bob Tadashi Wakabayashi (Berkeley and Los Angeles: University of California Press, 2000), 270-91. Baumler notes how “The opium trade was a vital source of income and power for most of the colonial and national states of East and Southeast Asia” (270). I believe this state of affairs is less restricted, and has changed less, than his choice of terms implies. These and other examples in Sally Denton and Roger Morris, The Money and the Power: The Rise and Reign of Las Vegas and Its Hold on America, 1947-2000 (New York: Knopf, 2001), 185,290, etc. Peter Dale Scott, Deep Politics and the Death of JFK (Berkeley and Los Angeles: University of California Press), 1966), 207, 218-19. For an instructive example involving Citicorp, America’s largest bank, see Robert A. Hutchison, Off the Books (New York: William Morrow, 1986). This Citicorp scandal (one involving double bookkeeping and tax evasion rather than drugs) was richly documented by first the SEC staff and then a Congressional Hearing, yet it was successfully suppressed through political influence. Scott, American War Machine, 43-62. Peter Dale Scott and Jonathan Marshall, Cocaine Politics: Drugs, Armies, and the CIA in Central America (Berkeley: University of California Press, 1998), 39. Peter Dale Scott, Deep Politics and the Death of JFK, 104-05. Elaine Shannon, Desperados: Latin Drug Lords, US Lawmen, And The War America Can’t Win (New York: Viking, 1988), 180. Cf. James Mills, Underground Empire: Where Crime and Governments Embrace (New York: Dell, 1986), 840-43, 550. CIA Cable MEXI 7041, 24 November 1963; NARA #104-10015-10070. Mills, Underground Empire, 549-50; cf. Henrik Krüger, The Great Heroin Coup: Drugs, Intelligence & International Fascism (Boston,: South End Press, 1980), 178-79. Cf. Scott, Deep Politics and the Death of JFK, 107-08. Dorothy J. Samuels and James A. Goodman, “How Justice Shielded the CIA,” Inquiry (October 18, 1978), 10-11. Discussion in Peter Dale Scott, Drugs, Contras and the CIA: Government Policies and the Cocaine Economy. An Analysis of Media and Government Response to the Gary Webb Stories in the San Jose Mercury News (1996-2000) (Los Angeles: From the Wilderness Publications, 2000), pp. 39-40. Samuels and Goodman summarize a little-noticed Report from the House Committee on Government Operations that I (even with the help of university librarians) have so far been unable to locate in Congressional Research Service indices. I have however located a second, follow-up report: US Cong., House, Committee on Government Operations, Justice Department Handling of Cases Involving Classified Data and Claims of National Security. 96th Cong., 1st Sess. ; H. Rept. No. 96-280. Washington: GPO, 1979. I know of no adequate published account of this murder and cover-up. There is a veiled account of the “flap” in John Ranelagh, The Agency: the Rise and Decline of the CIA (New York: Simon and Schuster, 1986), 221. Scott, Drugs, Contras and the CIA, 2, 12, 39-40. Related front page panorama photo credit:Adapted by WhoWhatWhy from JFK grave (Klinton Smith / Flickr – CC BY-NC 2.0).